Meet Pamela Shodipo, a confident, disciplined and resilient leader. She is witty, intelligent, eager to learn and has a brisk answer to every question. With over 20 years of banking experience, she excelled as the former Regional Head of Lagos Island. Her region won the ‘highest trade volume’ award for two consecutive years. 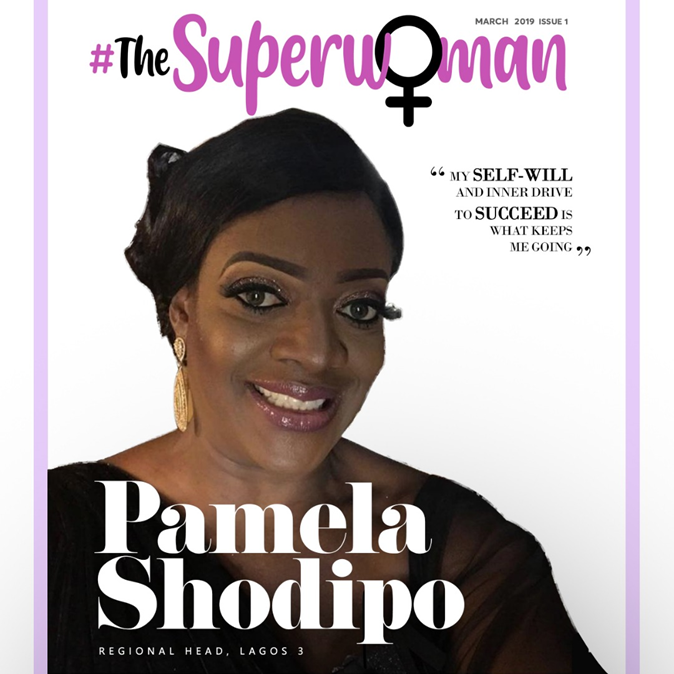 Pamela formerly held the office of one of the most strategic business units in the UBA Group- the 26 Branches in and around Victoria Island, Lekki and Lagos Island areas of Lagos and is presently in the key position of Regional Head Lagos Bank 3. Pamela speaks to us on career, success and balance. My Self Will/Inner drive to succeed, Family support, Self-actualization, Unceasing quest and passion for excellence, wanting to be a reference point. By mentoring and coaching, by being a role model worthy of emulation. Advocacy and documenting their achievements are also ways to help. That’s one of the strengths of a woman, we don’t really have a choice. First, I set priorities and I multi-task. I have principles because they help me live an ethical life. I also latch on to the support/advice from family and friends. They should not be in a hurry...'taking baby steps helps in the long run'‎. Patience, consistency and resilience pay. Be a go getter and strive to be the best in what you do. Be Real and live for the truth no matter what.